Michael Ondaatje and I are countrymen. We were both born in Sri Lanka, and both migrated away in our mid-childhoods. The Sri Lanka of Ondaatje’s childhood was still a British colony. The Sri Lanka of mine was at war. This, I believe, is why I’ve never felt kinship when reading Ondaatje’s work. There never flared in me a note of recognition. To me, most of Ondaatje’s work has always seemed self-consciously, carefully, curiously apolitical. So when I saw the title Warlight, without knowing anything else about it, I got my hopes up. Maybe, I thought, he’d return to our country like he did in Anil’s Ghost, but this time actually point the fingers he avoided pointing in that novel. But no. Warlight, it turns out, returns to the historical mapping of the same post-WWII England that made Ondaatje famous. Warlight follows the story of two white children, Nathaniel, our protagonist, and his sister Rachel, as they negotiate the aftermath of being abandoned by their parents after the end of the war. Let me take a moment to say, before we go further, that this Tournament round wasn’t a fair fight. On the one hand, you have a Booker Prize-winning heavyweight’s seventh novel, and on the other, a debut that may have once been an MFA thesis. I was torn, truly torn, in this matchup. I am an activist by nature. My own writing is political. I came of age reading queer, feminist, and critical race theory. So when presented with There There and Warlight, I was already biased toward There There. Add to that my existing feelings about Ondaatje, and I was already poised to not like one of the two books. 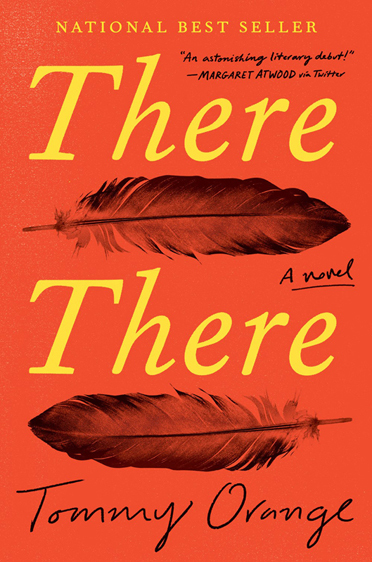 There There tells the story of an attempted robbery at the Big Oakland Powwow through a series of linked stories focusing on different key and ancillary characters. The book spins out from the fulcrum of the heist, but we the readers are following the trails from the outside in—and at the beginning, it’s unclear what we’re spinning around or how these stories will intersect. Opal doesn’t step on cracks when she walks. She walks carefully because she’s always had the sense that there are holes everywhere, cracks you can slip between—the world, after all, is porous. One night a thunderstorm perched at the top of our valley as we sat poised across from each other at a table in the greenhouse… The lightning and thunder made us feel defenceless within the thin glass shell…inside, there was the drugged air of plants, and two bars of electrical heat attempting to warm the room. I enjoyed both novels, but what ultimately made my decision was that it took too long for the main story of There There to begin. The various threads on their own failed to capture my attention enough for me to keep plowing through. I wasn’t reading to find out anything—the novel lacked in its first three-fourths what my agent calls a narrative engine, barreling us forward through the fog of prose toward the inevitable end. Warlight, on the other hand, coyly drops hints about Nathaniel’s parents—early and often enough—that the dramatic pacing of the story kept me reading for more. I finished Warlight in a day and a half. It took me more than two weeks to read There There, because I kept putting it down and forgetting about it. In the end, the flawlessly crafted pacing of Warlight won me over, despite my initial resistance, and even though I enjoyed reading There There, it started its intrigue too late. I don’t want to spoil the ending, but I also had a problem with that—it reminded me too much of The Departed, and seemed like a convenient way to avoid any emotional climax or closure from the characters. I wish I could read without expectations, but that’s rare in today’s culture, where social media reputations and marketing-induced buzz precede books. Part of my disappointment with There There was also due to the massive hype it had this past year. I was expecting to be wowed, and what I found instead was a deeply flawed debut that suggests a promising career. I expected not to like Warlight, but instead the intrigue of its plot, the slow unspooling of its central mysteries, and the quiet quirkiness of its characters surprised me. What moves me in the end, with most books, is a combination of the beauty of sentence-level prose, and how well the narrative engine is crafted, and it was Warlight that provided both in abundant measure. John Warner: It is impossible to predict what books will wind up in front of which judges in later rounds, and this goes double for the Zombie matchups, so to see Warlight wind up in front of Judge Sindu, given the elements of shared backgrounds, is a kind of amazing coincidence. That said, we see a lot of these coincidences within the Tournament because the ways individual books may connect to individual readers are infinite. Still, this one is kind of spooky. Kevin Guilfoile: There There was a novel that came into the tourney with about as much hype as any other book, John—truly one of the shiniest debuts of last year—and yet because of the way the commentary schedule panned out, you and I haven’t even had a chance to talk about it, and now it’s gone! I loved this novel. I think it was a smart debut, with really controlled, effective prose and terrific characters. The novel-in-stories is not a new device, obviously, but I thought it was executed with a lot of thought and ingenuity. Orange’s observations consistently felt surprising and true. I’m positive there have been previous novels about young, urban Native Americans, but this might be the first one I’ve read, so Orange gets credit for walking me through that particular cultural landscape. It was certainly one of the reads that really excited me last year. Of course, debut novels get a disproportionate share of the total book qi every year. Every debut novelist is potentially the next churner of guaranteed blockbusters. Every writer putting out his second novel is just the old him, which is a lot less interesting. So There There gets a tremendous amount of buzz, and Warlight, a rock-solid, professional novel by a proven craftsman, gets attention for sure, but not the electrified kind that the first novel gets. And with this judge all that hype came back to sting There There a little. John: Aside from books that are acquired for large advances, which books capture a lot of buzz can seem pretty mysterious. I assume there’s some series of buttons that publishers try to push in order to generate buzz—buttons that they don’t push for every book—but even if those buttons are pushed for a particular book, there’s no guarantee that buzz will result. I don’t remember how or when There There first got on my radar, but it was early and often; the hype was emitting from writer/editor types that I’m connected to on social media. I think there’s an unslaked thirst for stories told about non-majority communities and points of view, and from There There’s description, I knew this was a world with which I was unfamiliar, that I would want to know. I found the writing to be electric from page one, and while I concur with Judge Sindu about the speed (or lack thereof) with which the plot coalesces, none of that mattered to me. This was a book I was going to follow line to line to the end. It’s interesting that you describe it as a “novel-in-stories” because I think we may look at the book differently if we see it this way as opposed to a continuous-story novel. 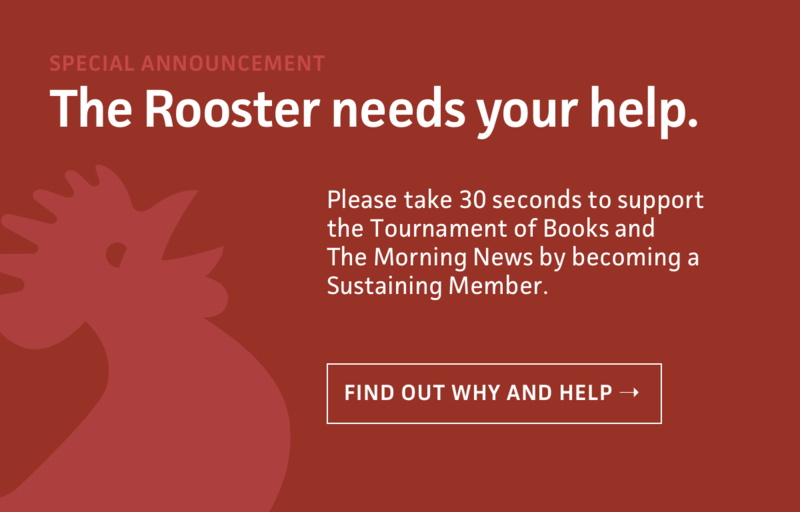 I’ve long maintained that Rooster winner A Visit From the Goon Squad is a straight-up short-story collection, while Cloud Atlas (another winner) is a novel-in-stories. Recent finalist Homegoing by Yaa Gyasi was a novel-in-stories, in my opinion. I honestly never saw There There as a novel-in-stories, but seeing it that way makes me feel even warmer to it than before. Kevin: That was probably a flippant description on my part. There There is, of course, made of separate (eventually intersecting) narratives. The characters don’t interact much, and each has an independent journey, each has their own beginning, middle, and end. (The halting narrative momentum you get from this device seemed to be an obstacle for Judge Sindu.) On the other hand, many of the chapters wouldn’t hold up as short stories on their own, at least in the form they’re written. It is the lens through which I was reading the book, however. And it worked for me. Warlight has had an interesting run through the ToB. Ondaatje is one of the most accomplished novelists on the shortlist, but I also feel like Warlight has kind of snuck up on the judges a little bit. I wonder if the fact that we all know it’s an accomplished novel by an accomplished writer has caused us to underestimate it a little. 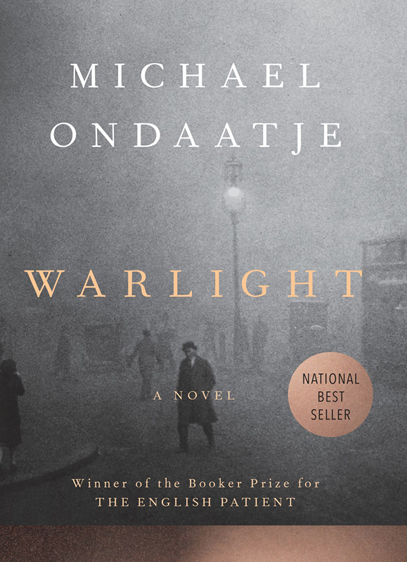 If you’ve read Ondaatje before, Warlight isn’t going to surprise you (and we all love to be surprised). But when you sit down to compare it to another novel, and you start ticking boxes next to the things Ondaatje does better, it’s just check, check, check, check, and onto the next round. Speaking of which, Pitchaya and Jessica will be back in the booth tomorrow as Zan Romanoff decides whether The Mars Room or My Sister, the Serial Killer will stand next to Warlight in the championship. 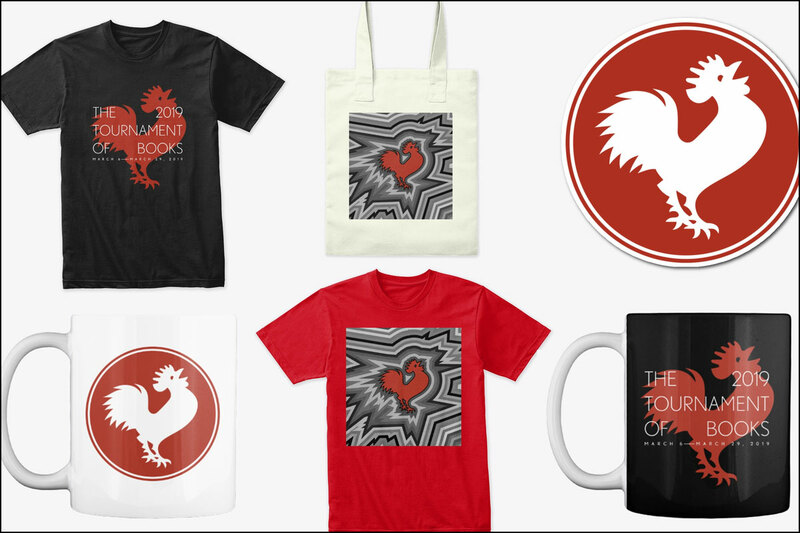 The next time you and I get together, we will know which author (potentially) will be taking delivery of a live rooster. I can’t wait.